The Hyperion daylily was first introduced in 1925. Since then, it’s become a favorite of gardeners and landscapers. When you take a look at its beautiful yellow flowers, it’s easy to see why. Here are a few reasons why we like this variety so much here at Rolling Hills Nursery & Landscaping. Hyperion has a delicate scent. Many of today’s hybrid daylilies don’t have a fragrance. If you enjoy a slight scent, this may be the variety for you. It blooms in the late summer. Add a burst of bright color to your flower beds, borders, and other areas of your yard, just when other blooms are starting to fade. It’s hardy. Hyperion is resistant to disease, only requires occasional watering, and thrives in full sun. 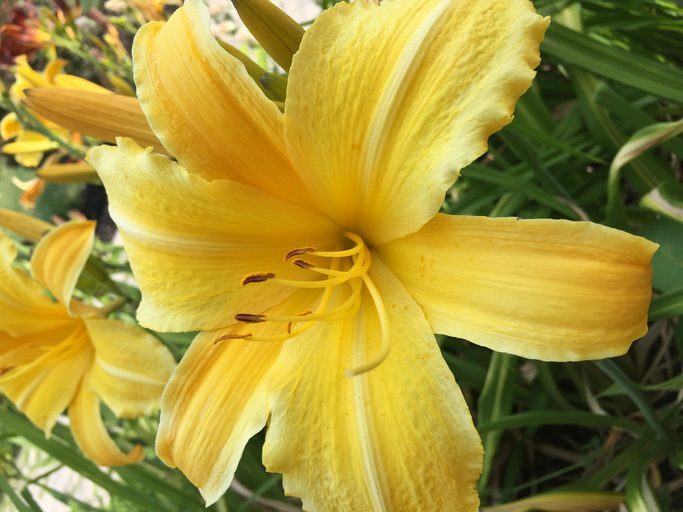 To learn more about this type of daylily or to purchase some for your yard, visit Rolling Hills Nursery & Landscaping in Rock Hill, SC.